There are three Day Houses, situated within the proximity of The Green Court, each one consisting of a mix of boys and girls within every year group. Although the school day is deliberately structured to run along the lines of a boarding school, the House system enables the day pupil to benefit as much as the boarding pupil from the experience of a King’s education. The House is the day pupils’ base for the school day: a place to work, to relax and to socialise with friends. The Day House is intended to mirror the Boarding House in every respect – except for the provision of beds! All meals throughout the day and at weekends can be taken in the Dining Room, so that a Day pupil need not go hungry if there is a requirement to remain at school for an evening commitment such as a concert or play rehearsal. House loyalties are strong, and many co-curricular activities occur on a House basis. A highlight of the year is the House Song competition in The Shirley Hall just before the October half term. 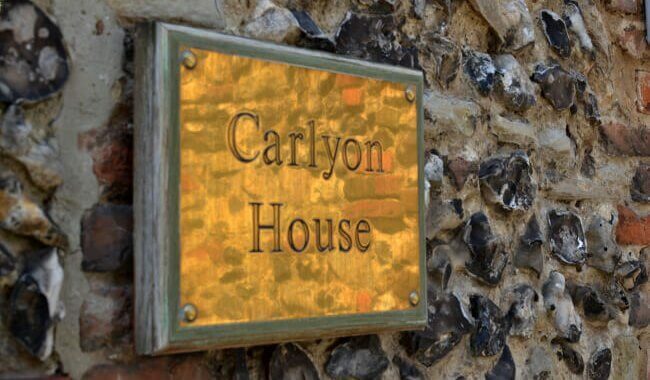 Carlyon is the newest Day House. Its name commemorates the evacuation of the School to Carlyon Bay in Cornwall during the Second World War. The House was opened on October 1st 2005 by Major-General Patrick Lee OKS. 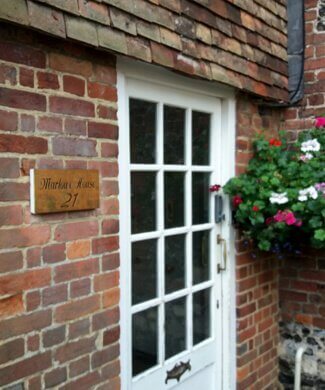 The buildings were formerly shops in Palace Street, which include an attractive courtyard garden. 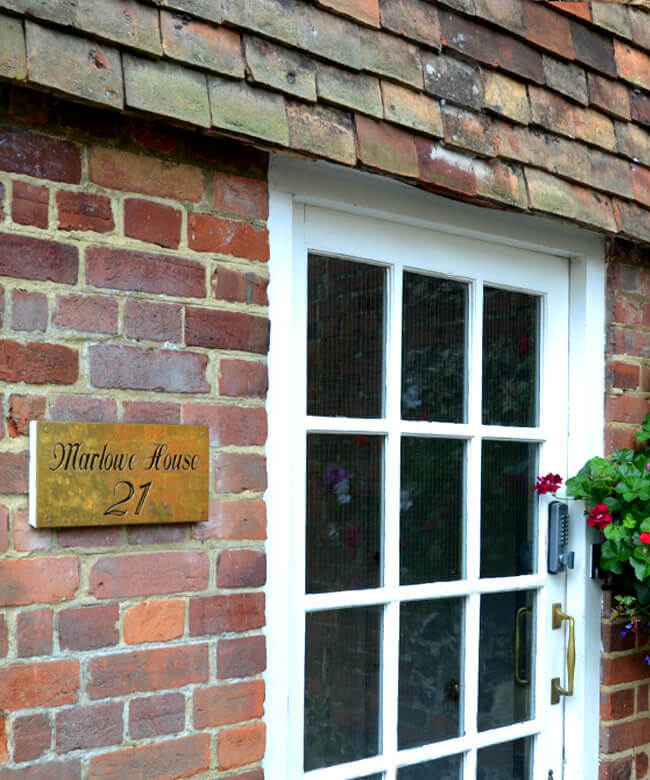 Marlowe House is the oldest of the three Day House. It adjoins the Deanery and overlooks The Green Court. The building was acquired by the school in 1936, and it is named after the poet and dramatist Christopher Marlowe (KS 1579-81). 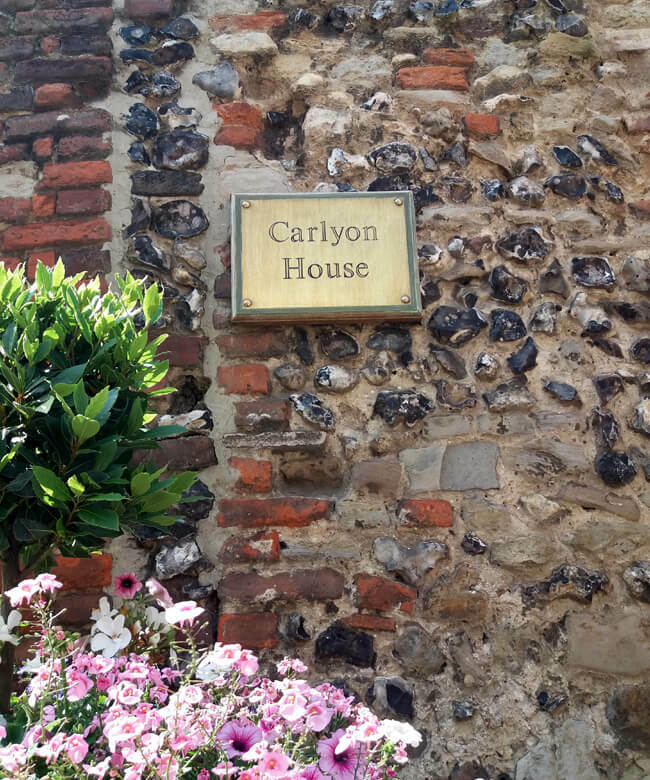 The studies are named after characters in Marlowe’s plays, and some fascinating archive material on the playwright is displayed on the stairs leading to the Housemaster’s study. Notable former members of Marlowe include Harry Christophers (founder and conductor of The Sixteen), Edmund de Waal (ceramicist and writer), and James Berry (Former MP for Kingston and Surbiton). 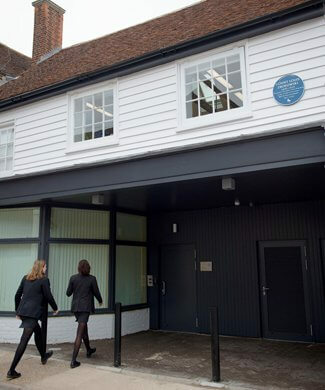 The House is named after John Mitchinson, Headmaster 1859-73 and co-founder of the Headmasters’ Conference. In February 2018, Mitchinson’s moved from its former home in the Mint Yard to its new location on St Radigund’s Street within easy reach of the Cathedral Precincts. The new state-of-the-art House occupies the former auto works building of Count Zborowski where the original Chitty Chitty Bang Bang cars were housed. Notable former members of Mitchinson’s include Natascha Engel (Former Labour MP for Derbyshire North East).